Many consider blight an apparently random curse, and part of the game a pome fruit grower must play. 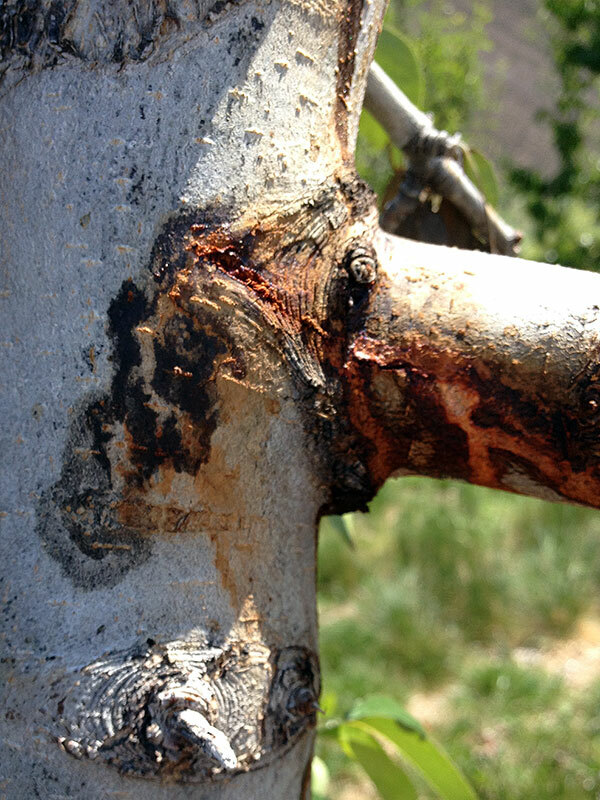 As outbreaks do not occur yearly, damage always seems to be somebody else's problem, until it suddenly appears in your orchard. 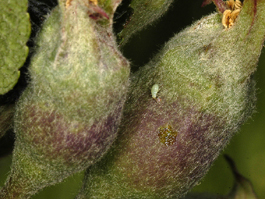 Campylomma can be a pest during the bloom period when it feeds on young developing fruit. 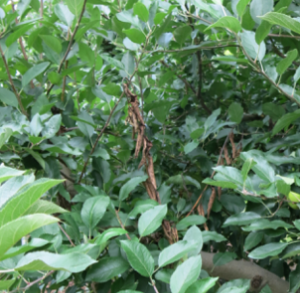 However, it is a beneficial predaceous insect that is valuable in control of soft bodied insects (such as spider mites) throughout the rest of year. DAS predicts the phenology of Campylomma during the spring, but beating tray samples need to be taken before and during the spring bloom period to determine if Campylomma is present and whether treatment is necessary. 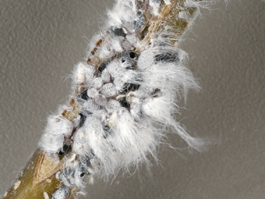 Woolly apple aphid (WAA) has become more common over the past few years and is a quarantine threat for export to certain countries. WAA can be found feeding on the roots as well as occurring in the tree canopy where it can appear as a white cottony mass on pruning scars or shoots.